What many people don’t realize is that we can experience a variety of symptoms that can indicate a vitamin/mineral nutritional deficiency. Symptoms may include: hair loss, fatigue, depression, dry skin, dry hair, headaches, muscle weakness, exercise fatigue, and more. There are some tests that are conducted in order to find out if you have a vitamin/mineral deficiency. Anti-Aging & Functional Medicine offers a specialized test in order for Dr. Zacco to determine if you have a vitamin/mineral deficiency. Together, Dr. Zacco and you will determine which form of treatment is best for you; oral supplementation, IV nutritional supplementation, or a combination of both. 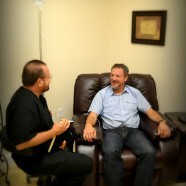 IV therapy can be more effective than taking supplements orally. The IV method bypasses the digestive system, which sometimes poorly absorbs nutrients due to Leaky Gut Syndrome, food allergies, and decreased efficiency from the aging process. IV administration is very safe and also very effective, as it could bypass the problem of bowel intolerance. IV Nutritional deficiency therapy is used to support the following conditions: Fibromyalgia, Chronic Fatigue Syndrome, Chronic Pain, PMS, Infections, Migraines, Vitamin Deficiencies, and so much more. IV Nutritional Therapy has been used by many athletes to aid in faster recovery and longer endurance. Please click on the links below to find out more about IV Nutritional Therapy from Dr. Oz.